Do you have a client or business executive in town? Are you hosting a presenter? A limousine rental is one way to show your guest that you care about their comfort while they are with you. 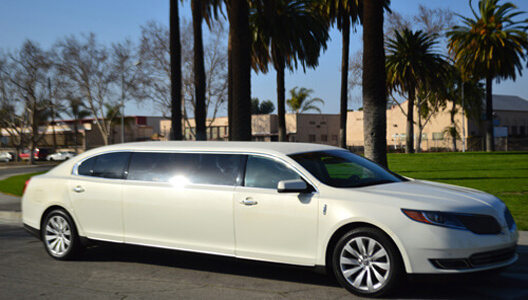 Experts in corporate transport, American Limousine serves the greater Los Angeles area. We have several different transportation options to choose from, including stretch limousines and sedans that are perfect for executives. In addition, we can charter transportation so that you have a driver available to you throughout the day. Traveling is not an easy process, even if you or your employees do it on a regular basis. That is why expert corporate transportation is a service that you need. It helps get your employees to their destinations in a fast, safe and efficient manner. In addition, it is a simple way to impress your clients. It is important, however, that you think through a few points prior to securing a transportation company to help you with your needs. If you are diligent, you will get the type of service that you desire. If you are not, you may be unhappy with the level of service that you receive. Most people want their transportation service to show up on time and efficiently make their way to the destination. In order to receive this type of service, you need to find an experienced, professional company. It is important, therefore, that you take the time to find a good transportation partner from the very beginning. Locating a company that is right for your needs is a critically important task. Therefore, look into the reputation and customer satisfaction levels of any given company before you use them. In addition to what was noted above, it is also important to investigate whether the company values communication with its customers and pays attention to detail. You will likely have notes to give the transportation provider about your client or employee. Some of these notes may be critically important points that, if ignored, could harm your reputation. Therefore, you want to make sure that you work with someone that will take your words to heart and pay attention to all the little things that truly make the experience great. If you want everything to go smoothly, make sure you plan well in advance for all your business trips. Once you know what you need and when you need it, contact your transportation partner to go over the details. It is very important that you make this communication early, well before you need the actual service. By doing so, everyone is able to get ready for the event so that it goes smoothly. Your clients, executives and employees should then have a great, stress-free experience. This means that they are picked up and dropped off on time. It goes without saying that you want to find a professional company. However, sometimes when you are pressed for time, and you are simply trying to hire anyone you can to provide transportation for you, you might make poor decisions. Therefore, no matter what, invest some time in the search process. Find a company that prides itself on customer service and that treats you well as a result. Only go with a company that you feel you can trust. After all, these individuals will be transporting people that you care about, and you want them to be treated well at all times. If you hire a professional company with good customer service, you can rest assured that they will do everything in their power to help their customers and ensure that they are comfortable and happy. If you take the points in this article into consideration when looking for a transportation service, you should be happy with the company that you choose. In addition, the entire process will be much less stressful than it might have been otherwise. So, take the advice to heart and you will find a professional company that truly cares about its customers. Click to reserve your Limousine today.